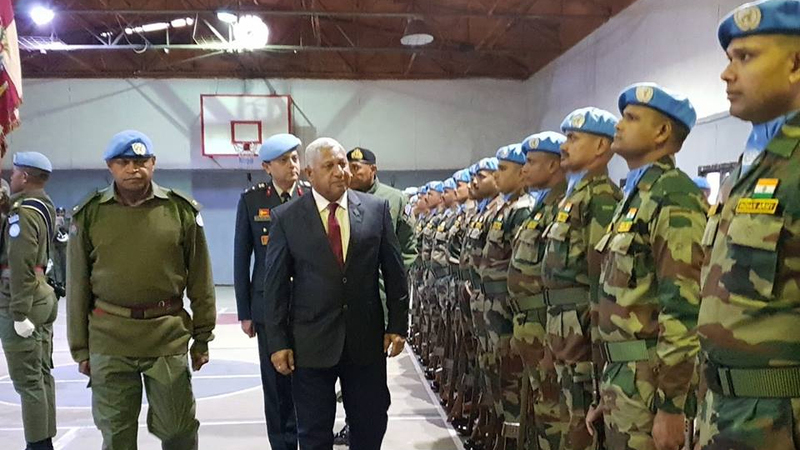 Prime Minister Voreqe Bainimarama is visiting Fiji’s United Nations Disengagement Observer Force (UNDOF) today in the Golan Heights. 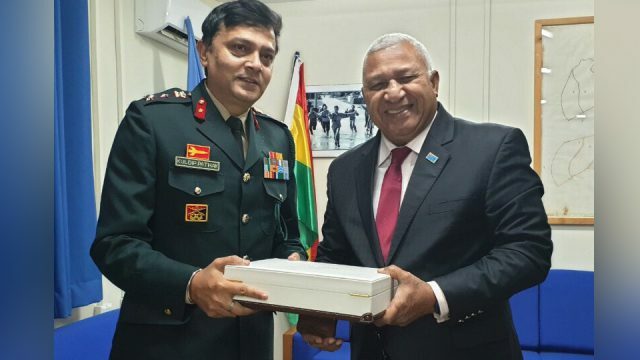 Bainimarama was received by the Deputy Force Commander of UNDOF Maj General Siddharth (of India) who provided a detailed briefing of the area of separation between Israel and Syria – between the Sea of Galilee and Mount Sinai. During his visit, the Prime Minister took the opportunity to thank the troops for their excellent service to peacekeeping in this difficult region. Fiji has played a critical role in preserving this mission when internal conflicts started in Syria. Relative calm has returned within the area of separation. 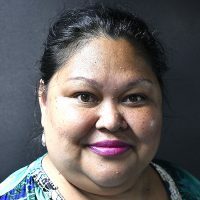 Fiji’s troops will be consolidated on the Israeli side in the New Year and its total strength will be reduced by around 50. 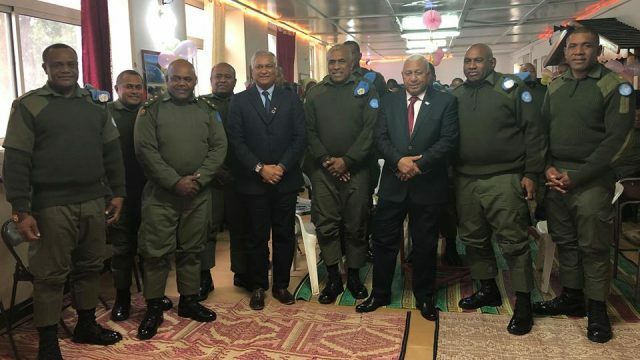 The Prime Minister was accompanied by Fiji’s Permanent Representative to the United Nations, Dr Satyendra Prasad and Commander of the RFMF, Rear Admiral Viliame Naupoto, his wife, Mary Bainimarama and Personal Staff Officers Major Isireli Tagivakatini and Captain Mafi Kolinisau. Meanwhile the Prime Minister will also be meeting his Israeli counterpart Benjamin Netanyahu tomorrow. 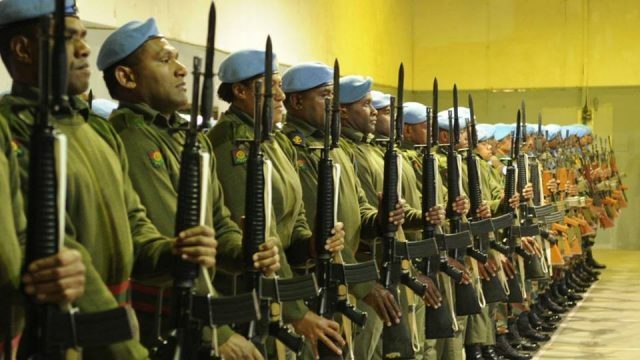 The UNDOF mission hosts the largest of Fiji’s medical deployment. A team of 2 doctors and around 20 nurses provided full time care across 3 deployment sites in this region. Their services are also available to other forces from Ireland, Nepal and India.